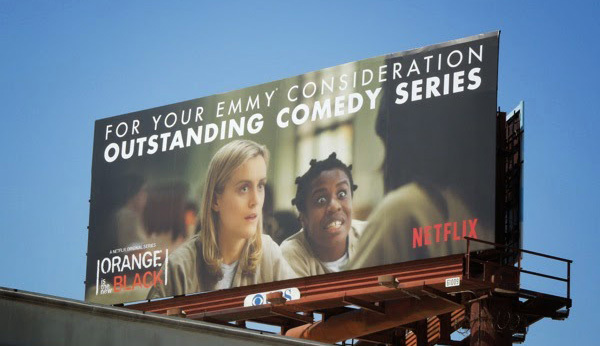 Orange is the New Black competed as a Comedy at the 2014 Writer’s Guild Awards. It then competed as a Drama at the 2014 Screen Actors Guild and Golden Globe Awards. It then competed as a Comedy at the Critics’ Choice Television Awards and the 2014 Emmy Awards, before eventually winning its first major awards at the 2015 Screen Actors Guild awards competing as a Comedy. This happened because the system allowed it to. Regardless of whether or not we believe Orange is the New Black is a drama or a comedy, the distinction was more or less up to Netflix, who consciously positioned it as a comedy in part to reduce competition with its other major awards contender, House of Cards. I would argue the show is unequivocally structured as a dramatic series, but that didn’t matter, because the system has no qualitative measure to change this. Over this same period, Showtime’s Shameless made a similar switch late in its run, petitioning to become a comedy (and earning William H. Macy an Emmy nomination and Screen Actors Guild win in the process); Gilmore Girls did the same late in its run, trying desperately but failing to earn Lauren Graham a nomination. I feel pretty safe in saying that Orange is the New Black and its “category fraud” are the impetus behind an Academy rule change announced today that labels half-hour series as comedies and hour-long series as dramas. While Shameless’ category switch is likely a contributing factor, I feel comfortable calling this the Orange is the New Black rule, directly targeting a series that I would tend to agree is committing category fraud based on the objective facts of the show itself. I label the rule this way both to reflect its direct origins and to point out that it really doesn’t address any kind of larger problem. Anarchy has always reigned in terms of how shows are categorized generically, but genres are inherently discursive, and choosing to organize based on genre is subject to, well, subjectivity. That subjectivity has been placed in the hands of the studios/networks who submit shows for consideration, with Academy oversight to ensure that extreme cases are snuffed out. The problem was that the Academy wasn’t willing to make strong determinations, as in the case of Shameless, where executive producer John Wells claims that the audience understood it as a comedy were so laughable I’d nominate them for Outstanding Comedy Series before I’d nominate Shameless itself. However, this problem hasn’t been solved by this rule: there is still a petition system, and there’s a good chance that shows that have previously competed in categories could be grandfathered in. As a result, I don’t think this actually fixes the inherent problem of having subjective genre evaluations organizing an award show, but rather offers a more definitive ranking system that can then be petitioned through a more formal process. That’s fine, but it has not come with a clearer sense of the Academy’s approach to those petitions, and what criteria they would judge a show on in such circumstances. 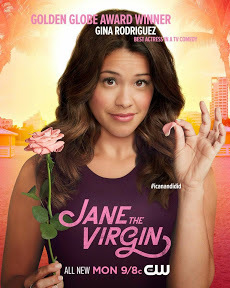 Jane the Virgin is the show I would argue most affected by this development: a Golden Globe nominee in Best Comedy Series, the show earned The CW’s first Golden Globe for Gina Rodriguez, who has a chance to compete for the Emmy based on the Lead Actress Comedy category being fairly open in terms of nominations. The show plays up its telenovela roots heavily, its narrator punctuating the comedic timing of its episodes and the drama and melodrama heightened (yet grounded) in ways that mirror a family sitcom more than a family drama. While I think there’s an argument to be made that it functions as a dramatic series, its rhythms and its tone are enough to convince me that it should compete in Comedy. But are those the standards that the Academy is interested in considering? What criteria have they set? Will Jane the Virgin creator Jennie Urman have any idea what those criteria are when she—or her network—makes her petition to compete as a comedy? Are they looking for a paper trail where the series was considered a comedy internally, or in marketing materials? We’ve been told how the panel will be constituted—five industry leaders appointed by the TV Academy and four members of its board of governors—but how they would actually approach such a petition is just as vague as it’s always been. The Television Academy’s other rule changes are entirely sensible: an increase in member able to decide winners in addition to nominees could make a real impact, seven nominees in series categories is entirely necessary given the growing number of programs submitted, Limited Series makes sense as a distinction (and could be called the True Detective rule), the Guest Actor rule (requiring actors in more than half a season to submit as supporting) makes plenty of sense , and the split in Variety (Talk and Sketch) offers a much better platform for the rise of sketch series on basic cable. In these cases, the Academy’s claims that these changes reflect changes in the TV landscape and in their own membership and nominating process ring true. But I see no such logic behind distinguishing between series based on length. Although Orange is the New Black’s category hunting put this into sharp relief, perhaps, this is not a new problem, nor is this the only problem; I would argue that HBO and Showtime’s insistence on placing all of their half-hour series (other than In Treatment) as Comedies is equally ludicrous, but is in fact supported by this rule change despite the fact Enlightened, Nurse Jackie, and United States of Tara—and for that matter Amazon’s Transparent—were all half-hour dramas…in my opinion. It remains to be seen how many shows will be willing to petition for a category change: I expect Orange is the New Black, Shameless, and Jane the Virgin to be among them, and they’re the only three that I think have a chance of competing in series or acting categories. And if they are the only three, is having competed in those categories in previous years enough of a claim to win over the Academy? Will Jane the Virgin’s consistent claims to comedy—compared to the scattered eligibility claims of the other two series—bear more weight? Or will Netflix and Showtime’s comparatively large place within the awards landscape give them a stronger lobbying position compared with The CW? We have no answers to these questions, but it’s become a key piece of pre-show suspense as these shows and the ones they’re hoping to compete with survey a landscape that is honestly more uncertain than before these rules, which sought to enforce clarity in a subjective environment where no such clarity is ever attainable. It makes me wonder why they’re just getting around to this change of classification now when Ally McBeal won as best comedy back in the day and it was a one-hour show. I completely agree; I think Desperate Housewives won in the Comedy category as well, and Glee has always submitted in comedy. I always wondered about all those Showtime “comedies” such as The Big C, Nurse Jackie and United States of Tara. The length of a show shouldn’t determine its category – Ture Detective tried to submit in drama at the Globes but ended up in miniseries, so I’m interested in how these petitions go. The Emmys have made some changes to their rules regarding categorisation, most of which are good, but it could be a problem for other show, and Myles perfectly articulates the issues here.